What do I need to win an appeal? To win an IAD (Immigration Appeal Division) sponsorship, residency obligation, or removal order appeal, you must prove that the CIC (Citizenship and Immigration Canada), the ID (Immigration Division), or CBSA (Canada Border Services Agency) decision is wrong in fact or in law. You could also win an immigration appeal if you are able to prove there is compassionate or humanitarian reason why the appeal should be allowed, even if the CIC, ID, or CBSA decision was correct in fact and/or in law. Am I allowed to bring in a witness? The simple answer is: yes, you can bring in a witness or witnesses if you believe their testimony will aid your appeal. The witness will be asked questions, not just give a narration. You must furnish the Minister’s counsel and the IAD with information about the witness at least 20 days before the hearing. This must be done in writing. The information required includes contact information (phone and fax numbers and address), the expected duration of the testimony, mode of testimony delivery (in person, via phone, or via video conference), and your relationship with the witness. If you are bringing in an expert witness, you are required to bring a signed report giving the qualifications of the expert and a summary of the evidence they will present. Other than providing witness information, it is also your responsibility to ensure your witness is at the hearing in good time. Note you can also bring in a “hostile” witness. To do this, go to the IAD registry office and ask for summons to appear. A summon is an IAD order that has to be obeyed by the witness. If you provide summons, you must follow the laid out summon service rules and you must cater for witness fees as well as travel expenses. What do I do if the witness is not in Canada? If your witness is not in Canada during the hearing, the law allows for witness testimonies through telephone at your cost. You must make a formal request to your IAD Member for this in good time. It is your responsibility to ensure that the witness will be reachable via phone during the time of the hearing. This means you will need to buy a long distance phone card or cards. The IAD regulations state that you must have at least 2 hour worth of talk time available on the calling card. 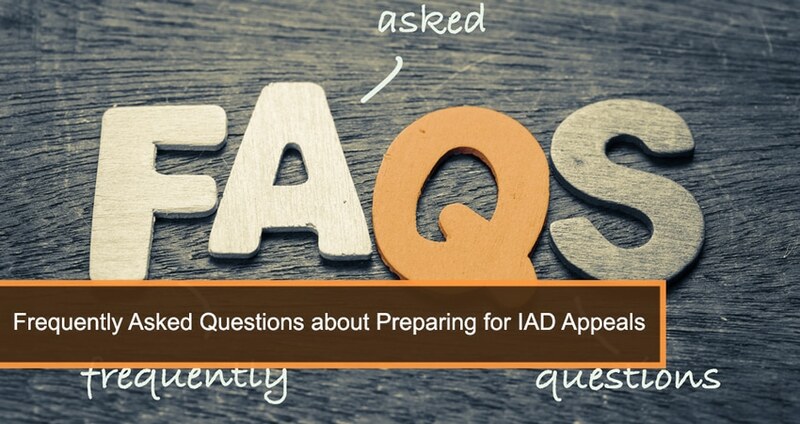 If there is a problem such as a poor connection or disconnection, the IAD Member might rule to go ahead with the hearing without the witness testimony. Can I bring in an interpreter? The official languages in Canada are English and French. If you or your witness or witnesses are not comfortable with either language, the law allows you to get an interpreter free of charge. To get one, you must first notify the IAD registry office in person during the scheduling conference or in writing at least 20 days before the hearing. You must provide such information as the language (including the dialect) you want interpreted. Can I produce documents are at the hearing? If you want to produce documents to help in your appeal, IAD requirements are that you must make 2 copies of each. One copy goes to the Minister’s counsel and the other to the IAD registry office, alongside a statement of when and how you furnished the Minister’s counsel with the documents. The documents must be sent at least 20 days before the hearing. It is the responsibility of the Minister’s counsel to furnish you with the appeal record, again at least 20 days before the hearing. You can then respond to these documents at least 10 days before the hearing. Documents that are not in English or French must be translated and the translator must make a declaration to accompany the documents. The declaration must include his/her name, language translated, and a signed statement that the translation is accurate. Even with translated copies, the originals must still be produced at the hearing. This whole tedious process is best handled by an immigration appeals lawyer Toronto. At the Law Office of Matthew Jeffery, we will guide you through the entire preparation process and we will handle the appeal, including filing the relevant paperwork, making arguments and interviewing witnesses. Call us today on (416) 944-3267 to talk to one of our lawyers.